If you have no heat inside your 1997-98 Lincoln Mark VIII and all the vents blow normally, just not warm, then most probably you have a broken blend door actuator. 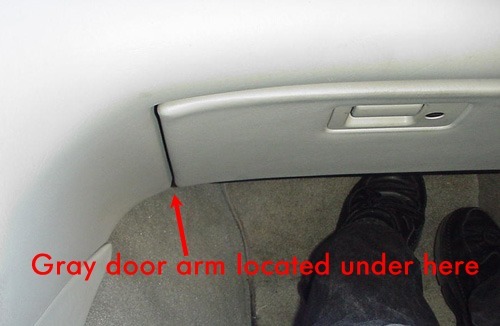 To get temporary heat reach under the dash in line with the left side of the glove compartment door and pull down the gray plastic lever about a half inch. This will give some heat since the gray arm works in tandem with the black door arm to control the heat inside the car. If the back arm has completely broken off its shaft then this procedure will not work. Complete procedure on how to replace the broken blend door actuator can be found here.